This is a 4 day activity (Monday to Thursday) and you need to attend all days. The course is ideal for beginners aged four years and above. The intensive courses are 30 minute lessons for five consecutive days. 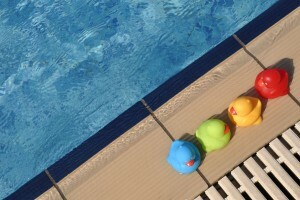 The course can accommodate up to eight children to one swimming teacher. Activities must be booked at least 48 hours before the start of the session. Bookings can be made from Monday 25th March 2019 at the facility, or by calling your local leisure centre. All places and sessions must be paid for at the time of booking. To discuss your child’s individual needs please contact Baysgarth Leisure Centre.